The following describes a typical CLEAR treatment session. Please note that this may be modified or changed at the discretion of the treating doctor, based upon the patient’s individual needs. The average length of one treatment session is between 90 and 150 minutes. A typical visit to a CLEAR Certified Chiropractor begins with the patient performing stretching exercises on a special chair. This chair has a seat which pivots in 360 degrees of motion, encouraging spinal mobility and making it easy for the spine to bend in many different ways. When scoliosis develops, the muscles and tendons on one side of the spine become very tight. Side-bending exercises help loosen up these tight areas. Afterwards, patients perform gentle traction exercises. A device is placed under the chin and behind the neck while standing. The patient bends their knees, then straightens up, and repeats this maneuver every two seconds for a few minutes. This form of traction is very gentle. There aren’t any machines or mechanical devices, and the patient is in control the entire time. This traction is intended to relax the spine, and encourage the health of the spinal discs. 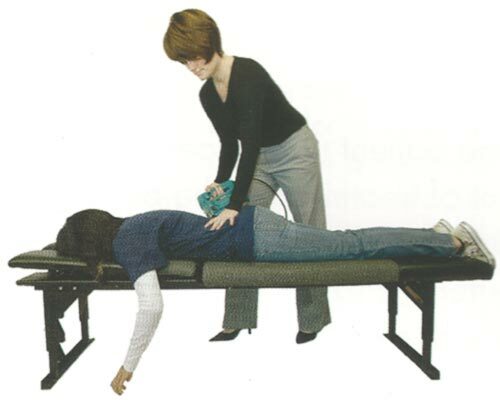 Next, the patient lies down on a roll that goes below the neck or the low back. This roll is connected to a motor, which causes it to move at a very unique vibrational frequency. This specific type of vibration has a relaxing effect upon the collagen that makes up the intervertebral discs, tendons, and ligaments. It is very gentle, but also very effective in reducing problems like neck and low back pain, as well as improving the flexibility of the spine. Massage therapy is then performed, both by hand and with the aid of a special percussive device. This specific type of massage is called “tapotement,” and it’s very effective in helping to relax the deep spinal muscles. It’s only performed on specific muscles, asymmetrically. Other muscles groups are targeted with different therapies and exercises designed to strengthen them. Flexion/distraction therapy has been used by chiropractors for decades to help treat patients with herniated discs and low back pain. This specialized form of flexion/distraction therapy for scoliosis was developed specifically for the CLEAR Scoliosis Institute by Dr. Leander Eckard, a world leader in chiropractic. Dr. Eckard created a table specifically designed to straighten the scoliotic spine. The patient lies down on their stomach, and the lower half of the table slowly raises and lowers. This provides gentle, intermittent traction to the spine. Flexion/distraction is not like spinal decompression; the Eckard Flexion/Distraction Table is designed specifically for scoliosis rehabilitation. Although people tend to think of scoliosis as a sideways curve of the spine, it’s three-dimensional. When viewed from the side, our spines should have three curves; two that point forward in the neck and low back (the cervical and lumbar lordosis), and one that points backwards in the middle (the thoracic kyphosis). In most cases of scoliosis, the middle curve (thoracic kyphosis) becomes flatter, which can make the shoulder blades look like they are sticking out. Sometimes the curve in the neck is lost, causing poor posture and problems with breathing or sleeping. If the curve in the low back is lost, this can place stress on the muscles and spinal discs, and cause back pain. CLEAR uses special adjustments to help restore the good, healthy curves of the spine. Adjustments may be performed on the low back and hips, depending on the three-dimensional measurements made on the x-rays. Every spine is unique, and these x-rays help us to tailor our treatment to reflect this. 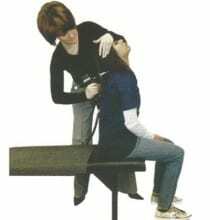 CLEAR treatment also includes adjustments of the neck, which are performed with the patient sitting up. An adjusting instrument is used to deliver precise but gentle forces into the bones of the neck, working to re-align them back towards the ideal position. Every patient is adjusted according to their unique x-ray configuration, and post-treatment x-rays of the neck can be used to verify correction has been achieved. The CLEAR protocols do not involve using the hands to twist or turn the neck. Whole-Body Vibration (WBV) Therapy is a relatively new innovation that has recently gained attention as a way of building muscle or losing weight. The type of WBV platforms used in CLEAR Scoliosis Centers, however, are not like these devices. The device we use is specifically designed to help improve posture and balance. Using Whole-Body Vibration as a clinical rehabilitation tool to help improve balance in elderly individuals, or people with Parkinson’s, is being explored by scientists and researchers around the world. The CLEAR Scoliosis Institute was the first to explore the possibility of using WBV therapy in scoliosis rehabilitation. Scoliosis is sometimes associated with balance and coordination problems. CLEAR uses WBV therapy in combination with a system of strategically-applied weights and cantilever-like devices (lever arms). Much in the same way that someone carrying a heavy bag through an airport will react in the opposite direction to help them keep their balance, these weights and cantilevers are positioned on the body to help improve how a person with scoliosis will balance and react to gravity. Because this therapy is done as a reaction, rather than a conscious effort, it helps to rehabilitate the automatic, subconscious parts of our brain that deal with posture and balance, much more effectively than exercises requiring conscious effort. Whole-Body Vibration therapy enhances this effect. The Scoliosis Traction Chair (STC) was developed by the CLEAR Scoliosis Institute in 2004, and has been in clinical use in dozens of chiropractic offices with thousands of patients since then. It has a very powerful effect on the spine, and can be ineffective or even harmful if it is not used properly. For this reason, only CLEAR Certified Chiropractors with the proper training are allowed to use and prescribe Scoliosis Traction Chairs for their patients. 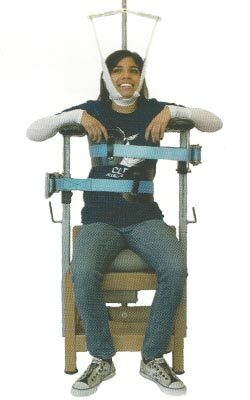 The STC combines gentle spinal traction with other components designed to reduce scoliosis while the patient is in a seated position. Sitting removes the potential influence of the hips and legs on the spine. The spine is simultaneously de-rotated (uncoiled), elongated, and straightened. The patient performs exercises while in the STC that are designed to work in tandem to reinforce this corrected spinal position. There is also a Whole-Body Vibration component to enhance this effect, just like with the previous therapy. STC X-rays, taken of scoliosis patients while they are correctly positioned in the Scoliosis Traction Chair, have demonstrated dramatic improvements in the rotation of the spine and the ribs, as well as reductions in the Cobb angle, that are far superior to what can potentially be achieved in a brace. These x-rays are part of an ongoing research endeavor by the CLEAR Scoliosis Institute to verify the effectiveness of this new approach. The CLEAR Scoliosis Institute has developed a system of scoliosis-specific rehabilitation exercises that center around the concept of isometric effort. In Europe, dramatic advances in scoliosis rehabilitation have been achieved using physiotherapeutic scoliosis-specific exercises (PSSE’s) together with bracing, or even by themselves. However, these approaches have not been a part of traditional scoliosis treatment approaches in the United States since the 1910’s. Isometric exercises are performed without motion, and are the opposite of isotonic exercises like weightlifting. Isometric exercises are far more effective in targeting the core postural muscles of the body. 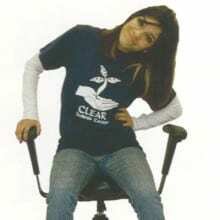 CLEAR uses a system of asymmetric isometric exercises that have been designed specifically for scoliosis. These exercises are performed both in the clinic and at home, as part of the CLEAR home rehabilitation protocol. Just as with the chiropractic adjustments and therapies, these exercises are prescribed to patients based upon their unique and specific three-dimensional x-ray measurements.